HolyToledo-we had almost 4000 visitors last week to Prudence Pennywise! Keep coming and don't forget to tell your rabbi, pastor, bishop, and non-denominational religious advisor. Share the love. Quiet down class. I'm assigning some meme work. That's right-assigning. Tagging sounds way too easy to get out of, like a school yard game that you can dodge with a quick sashay to the right. I love memes because I'm really nosy. I eavesdrop at ball games, peek in people's carts at the market, and read the notes that people write in the margins of books. I love (most) people and find them infinitely fascinating, with the exception of my undergrad Spanish poetry professor, quite possibly the most boring individual on planet earth. I really believe he could force a clock to move backwards just by the droning of his voice. But other than him, I'm fascinated and enthralled by my fellow members of the human race. So I'm assigning my memes to four of my favorite people, who also happen to be my sisters. (I'd assign memes to all my sisters, but they don't all have blogs.) Maybe I already know their answers, but I doubt it, since they are exciting and unpredictable foxy ladies. I just said "foxy"for the first time since 1978. Plus, they are ever so much more smart and clever, much more fun, and much much prettier than me and they wear much smaller jeans, just to rub it all in. If I weren't so busy trying to be like them, I'd probably hate them. ***To complete your meme assignment, copy the questions HERE, erase my answers and plug in your responses. No cheating and this test is timed. 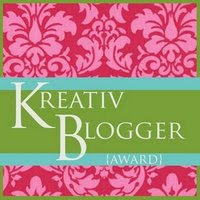 Furthermore, I'm passing on the Yum Yum Blog award to the following five dee-lish foodie blogs. If all goes well, they'll post the award and pass it on to five more. If all goes poorly, I'll need you to contact my attorney. Kahakai Kitchen makes you wish you could move to Hawaii, then move in with Deb and beg her to make you all her good food. Although she's so nice, you probably wouldn't even have to beg. Meet Me in the Kitchen has all kinds of yummy food that's comfy enough to feed your family and elegant enough to impress the neighbors. A Year at Oak Cottage serves up daily inspiration, gorgeous photos, and life's lessons along with yummy recipes. My Sister's Cucina showcases just the kind of food you wish you could eat with your sister, late at night in the kitchen. Smoky Mountain Cafe shares generously a plethora of exciting recipes-check out all of her many marinades. Oh I can't wait! Two of my favorite thing Zucchini and Pineapple! You're too sweet. I don't want to offend any of the sisters so I will only speak for myself. I am certainly not smarter, prettier, or more clever and more fun. The only thing I have on you is smaller jeans, but what on earth does that matter? You look better in your jeans! And you know why too! You have one assett (heehee) that I just cannot compete with! Prudy, you are amazing! And if I wasn't so busy trying to be just like you, I would probably hate you, too! Thanks for the compliments! 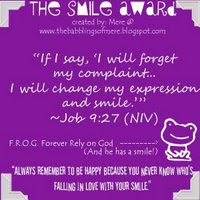 And I would be happy to post my meme on Heidi's blog! Prudy, thank you so much for the award, y0u made my day! Gigi-Thanks so much for letting me know about DQ thin mint shakes. How have I been living without them? You are a bonafide crack up. I don't agree with any such nonsense, especially your apparent preference for large assets (hee, hee yourself!). Actually, I suppose you could post our meme answers on your own blog, what was I thinking? I just thought people might be as nosy as I am, but it isn't likely. I love your blog so thanks for making my day with your great recipes. I was just planning on posting my answers on both blogs so all your nosy readers and all of mine (all 3of you!) could read my fascinating answers! Haha! Thanks so much for the award! My first and all the more special as it comes from you! I will pass it on with careful thought and consideration! can't wait for that recipe. i got to sample it the other morning as i lounged by the pool and it was mahvelous. it was so good to see you, but i miss you already! Come again and I'll make you a truckload. You've got an amazing sister yourself. If I could pick another sister in the whole wide world, it would be you. Thanks so much! I am just happy that someone is actually looking at my blog! How exactly do I post the award? Let me know and I am totally in! All you do is right click the picture and save it, download it to your blog like you would any of your photos, and voila. Pass it on to five other people. I save my awards on my side bar, and technically you're supposed to credit the person who gave it to you. I haven't gotten that far yet. 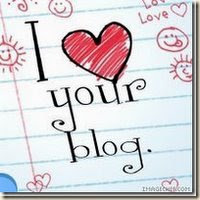 Your blog is fab! Thanks. I was trying to save it before I asked and had trouble but I got. Thanks again! You and your sisters and little ones are all so beautiful! You have been very busy blogging and I have been so absent. Moving is NO FUN! 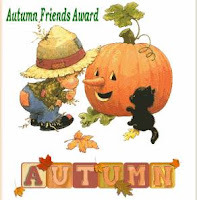 Thanks so much for the blog award Prudy! This is our first blog award. We are slowly getting our blog up to date, and we appreciate your help to get our name out. Love your zucchini bread. I have made one with pineapple in it and it is delish! I am excited to try yours. Thanks again!